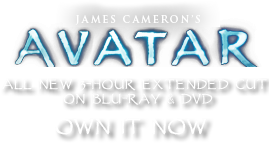 Phalanxia ferox | Pandorapedia: The Official Guide to Pandora | Own AVATAR on Blu-ray & DVD Now! The phalanxia is one of the most heavily armored plants known to man. It has some features that resemble the gymnosperms of Earth, such as a short woody trunk and exposed naked seeds. The stems are surrounded by vertical ribs that are lined with sharp spines, and even the seeds have short spines protruding to the outside of the stem. Seeds are produced in fertile zones located in patches along the stem that are well guarded by the armed ribs. As tempting as the masses of seeds appear to herbivores of all kinds, they are very difficult to reach without injury. In addition to the stationary spines, some of the spines can become projectiles that are ejected using gas that collects in specialized bladders within the trunk. The alkaloid-based venom within the spines can paralyze smaller Pandoran creatures. This species grows very slowly and seems to have invested most of its energy into defense. With the right tools and precautions, however, its armor can be breached. The Na’vi cut off pieces of the ribs for use in constructing weapons. Botanical Description Tall columnar plant with thick stems bearing heavy spines along vertical ribs. Surface of stems covered with fertile zones bearing masses of seeds.